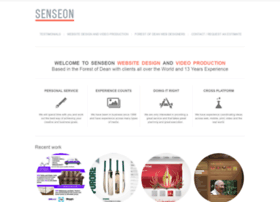 Website Designers Forest of Dean - Senseon. Website design and ecommerce specialists with award winning film making. Coleford, Lydney & the Forest of Dean.